The Dow Jones today rose over 60 points in pre-market trading on Thursday after filings for unemployment benefits fell to 222,000. Weekly jobless claims have been declining for the last year and remain at the lowest level since 1969. Analysts warn that continued low unemployment may slow economic growth if businesses are unable to find workers and continue expansion. If you've got a few million dollars sitting around… maybe you'd give some of it to charity. Or maybe you'd pay as much as $3 million to sit down and have lunch with Warren Buffett. Thing is… that is expected to happen this year, when the "Have Lunch with Warren Buffett" auction is complete. Naturally, some great things happen when rich people donate money to a good cause. But that doesn't answer the questions of regular investors who pine for Buffett's insight. This week, Money Morning Special Situation Specialist and legendary value investor Tim Melvin offers his insight on what tough questions he'd ask Buffett. Given Tim's experience, he already knows what Buffett would say on how to make money in this market. Read more right here. London's stock market experienced an hour-long outage during Thursday trading. 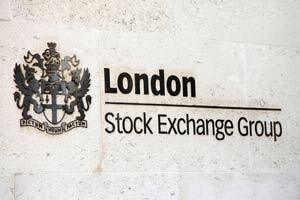 The London Stock Exchange saw trading freeze shortly after it opened due to a technical issue. A spokesperson did not elaborate on what the issue was or why it happened. Goldman Sachs Group Inc. (NYSE: GS) chief economist Jan Hatzius has a message for the markets. Hatzius said in a research note on Monday that U.S. GDP has likely peaked. "The current pace is probably as good as it gets because we expect the impulse from financial conditions to gradually turn more negative," Hatzius said. The European Union slapped America with roughly $3.3 billion in tariffs on U.S. goods. The tariffs, which are in retaliation to the Trump administration's recent steel and aluminum tariffs on the EU, will go into effect in July. They specifically target products like cigarettes, whiskey, denim, and orange juice. Broadcom Ltd. (Nasdaq: AVGO) leads a busy day of earnings reports. Wall Street anticipates the firm will report earnings per share of $4.77 on top of $5.00 billion in revenue. Uncertainty still remains on whether the company will be able to purchase industry rival Qualcomm Inc. (Nasdaq: QCOM) in a deal that would be the largest technology merger in the history of the markets. Shares of Alphabet Inc. (Nasdaq: GOOGL) are under pressure due to more regulatory scrutiny by the European Union. Shares were off slightly this morning as investors digested a report from The Financial Times indicating the EU will hit the firm with a antitrust fine. Tesla Inc. (Nasdaq: TSLA) stock popped nearly 10% Wednesday, crushing short sellers of the stock. Investors betting against the stock lost a collective $1 billion on paper yesterday, according to S3 Partners. This week, founder Elon Musk won a battle to maintain his roles as both CEO and chair. He also provided a boost of optimism to TSLA stock over production expectations for the Model 3 vehicle. Allergan Inc. (NYSE: AGN) shares are up 2.4% thanks to its latest activist investor. Billionaire investor Carl Icahn purchased a small stake in the drug maker at a time when other activist investors are pushing for strategic changes by the company. David Tepper and his Appaloosa Management, which owns about a 1% stake, asked the company this week to overhaul its leadership at the executive level. Look for additional earnings reports from VeriFone Systems Inc. (NYSE: PAY), The J.M. Smucker Co. (NYSE: SJM), Zumiez Inc. (Nasdaq: ZUMZ), Vail Resorts Inc. (NYSE: MTN), The Cooper Cos. (NYSE: COO), and Conns Inc. (Nasdaq: CONN).